ENTRYTIME may be a virtual solution, but its values and proposition are based firmly in the real world, centred around its clients - from those who sweat the small stuff in order to present world-class events, to those who sweat hours of training in order to compete. Because the company stems from the passionate endurance sports background of its founding members, it understands not only what it takes to organise a seamless event from start to finish, but also how to connect with the participants who make these events possible. 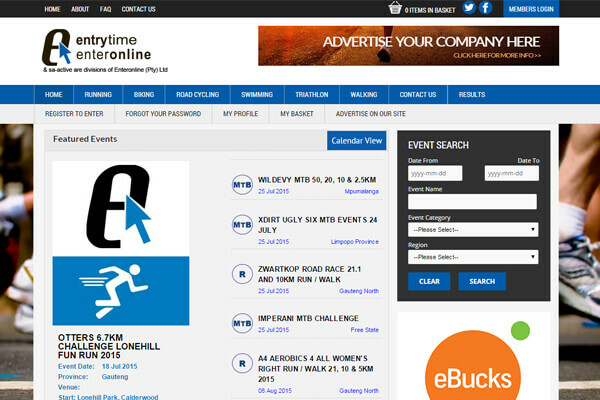 Since its inception in 2001, Entrytime’s naturally competitive spirit has ensured that it continues to develop to meet the needs of both events organisers and participants, combining world-class technology with world-class service levels to offer enhanced user experience from all angles.